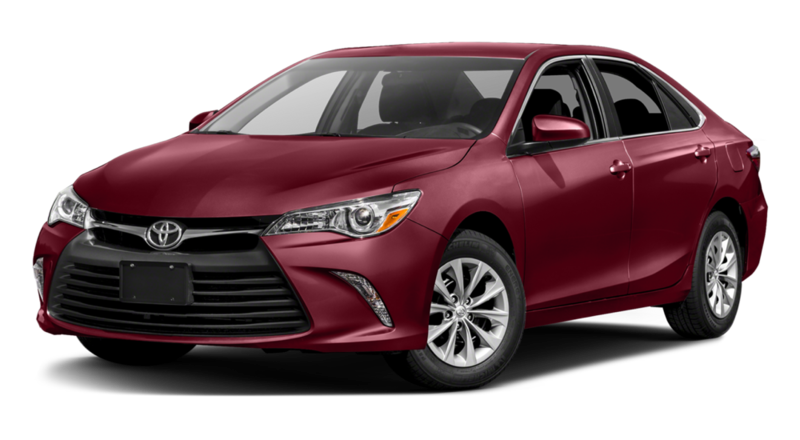 The 2017 Toyota Camry is one of the most popular cars in the United States, so drivers from Santa Monica, Culver City, Manhattan Beach, and beyond can expect industry-leading appeal. The 2017 Camry makes good on that promise by offering a diverse array of trim levels, engine options, and technologies. 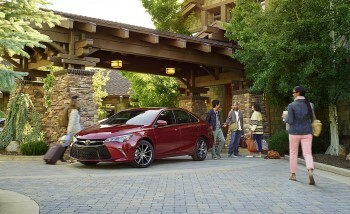 We understand that you have plenty of options when looking for a sedan, but the Camry has earned a place on every list. Drivers will be pleased to hear that the Camry has experienced few changes for 2017; Car and Driver reports that 361,111 were sold during 2015 alone, so Toyota clearly understood that they’d already hit on a winner. What you will receive for 2017 is the 10-speaker JBL GreenEdge premium sound system, which is standard at the XLE and XSE trim levels; it provides ten speakers across eight locations, plus a subwoofer and amplifier, to deliver state-of-the-art-sound. With up to 102.7 cubic feet of passenger space and 15.4 cubic feet in the trunk, the 2017 Toyota Camry delivers the type of family-friendly room and cargo capacity that you’d expect from a model designed to handle everything from picking up clients to taking the kids to school. The controls have garnered praise for their simple, intuitive operation, and even standard models receive Toyota’s 6.1-inch Entune touchscreen infotainment system to help you personalize your driving environment. Available features such as dual-zone climate control and an 8-way power heated driver’s seat can turn even the most grinding commute into a relaxing break. Other sedans keep their standard trims bare and unappealing in order to drive you to high-priced models, but Toyota just doesn’t play that way. 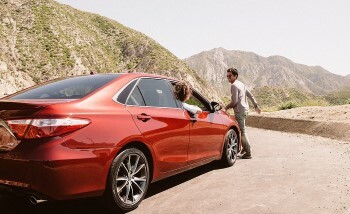 The entry-level 2017 Camry LE is one of the most generously equipped models on the road, offering automatic headlights, heated mirrors, a rearview monitor, eight-way power driver seat, Bluetooth connectivity, and Siri Eyes Free capability as standard. Qi Wireless Charging: If you’ve left home or the office without a full-charge, just place your compatible device on the nonslip charging platform. Entune App Suite: Access apps like Pandora and Slacker for music, book a reservation for date night with OpenTable, or pick up movie tickets for the whole family using MovieTickets.com, all on the go. You can even receive sports scores, stock values, traffic reports, and weather conditions. 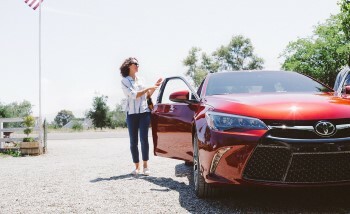 If you take frequent long journeys on the highway, try taking advantage of the Camry’s selection of driver-assistance technologies. Lane Departure Warning, Dynamic Radar Cruise Control, Pre-Collision System, and Auto High Beams are all available for your convenience and peace of mind. 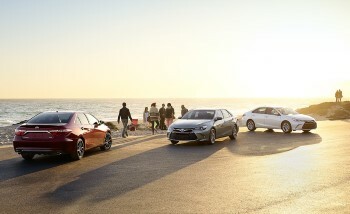 The Camry has been and remains one of America’s most forward-thinking sedans, and that’s struck a chord with each and every driver to who’s sat behind the wheel. If you’d like to experience the vehicle for yourself near Santa Monica and Culver City, don’t hesitate to contact Marina Del Rey Toyota today. You can call us at (310) 439-9894.